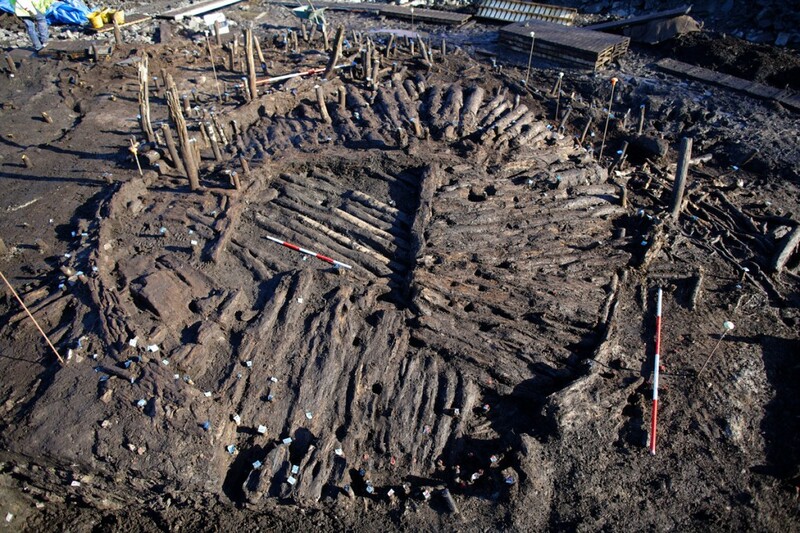 The site of the crannog at Drumclay in Co. Fermanagh has been known to archaeologists since the nineteenth century. The plans for the A32 link road originally envisaged bridging the site, allowing it to be preserved in situ. The plans were changed during the course of road construction and excavation began, directed initially by Declan Hurl and subsequently by Dr Nora Bermingham. Crannogs are artificial islands constructed in lakes and are found in Ireland and Scotland. Few have been excavated in recent years because of the complexities of disentangling these multiphase structures, and the costs of conserving the waterlogged finds. 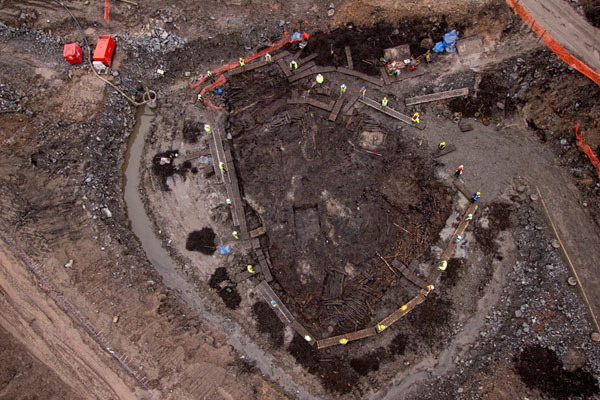 The wet conditions in which these sites are found produces exceptional survival of organic materials and environmental evidence, as the work at Drumclay has demonstrated. Excavations there have revealing houses of early medieval date, probably of the eighth to ninth centuries, but the site continued in occupation up to the seventeenth century with the replacement of houses directly on top of earlier ones, levelling up of ground with material to compensate for slumping and collapse, and the maintenance of a central area as an open communal space. The house walls were insulated with heather and other plants. There is a consistent, recurring pattern of several houses being in use at any one time. It is estimated that the stratigraphy had an original depth of 5m. 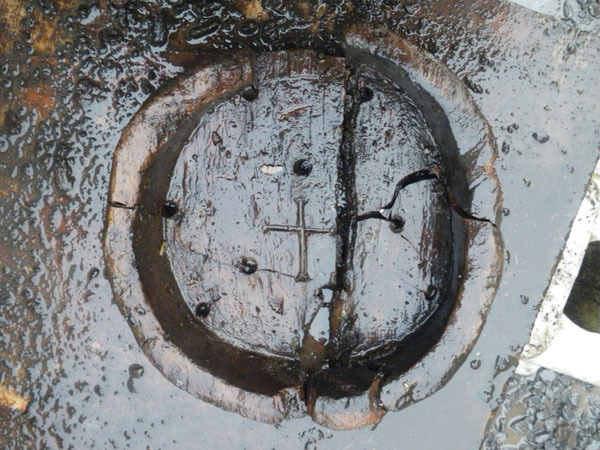 Some of the most striking finds are a wooden bowl that has a cross carved into its base, parts of wooden vessels with interlace decoration, and combs made from antler and bone that date to between 1000 and 1100 AD. The site has produced a large collection of pottery. Parts of at least two different log boats have been discovered, and a wooden oar – from deposits several centuries older than the boats – has also been found.